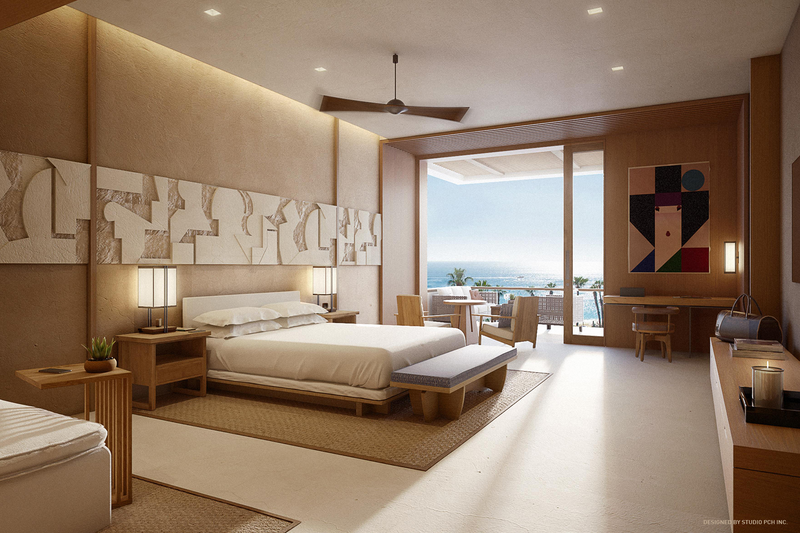 Located on the shores of the Pacific Ocean, the new Nobu Los Cabos Resort is the embodiment of Japanese Mexican fusion. Opening up to expansive views of the ocean, interior and exterior spaces fuse together in seamless transition. Our role encompassed the design of the hotel interior and Nobu restaurant. 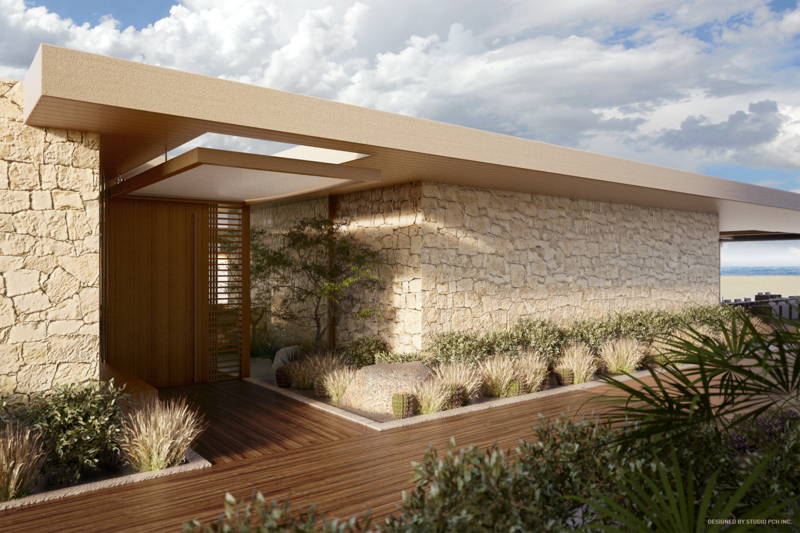 As you approach the hotel, walls are clad in rough stone, providing a sense of Cabo’s native materials. As you journey through the hotel, you are introduced to smooth textures and warm hues of teak and ipe. A play of sun versus shade throughout the interior and exterior give the hotel a serene yet playful experience. Clean lines of Japanese design are seen in the designs of custom furniture pieces, wood soaking tubs, shoji inspired closet doors, and Japanese inspired lanterns and accessories. Spaces contain the heart of Cabo’s laid-back style through the use of color, rounded edges, geometric art pieces, and rough textures. The materials are simple yet rich in quality providing a luxurious and sensual ambiance to the hotel interior.